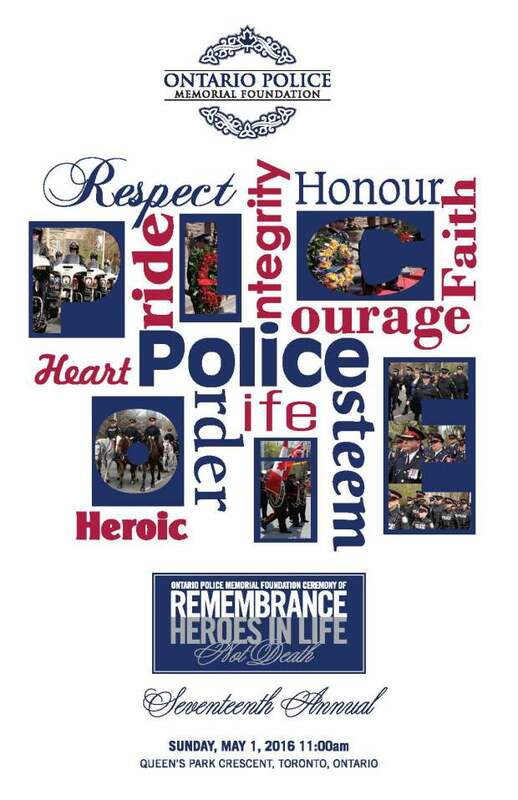 On Sunday, May 1, 2016, families, friends and the policing community will gather at Queen’s Park to pay tribute to 260 police officers who have fallen in the line of duty. This year, the we will honour three historical officers: County Constable John Morrison (Russell County), County Constable William Lorenzo Pickard (Kent County) and County Constable Samuel James Vanstone (Ontario County). We hope you will join us in support. Please be sure to check back regularly for updated information. For further information on the Memorial or to purchase pins, please visit OPMF or Memorial Pins.